The Rope Style Treestrap replaces your current tree strap and serves as an effective LifeLine for climbing style tree stands. 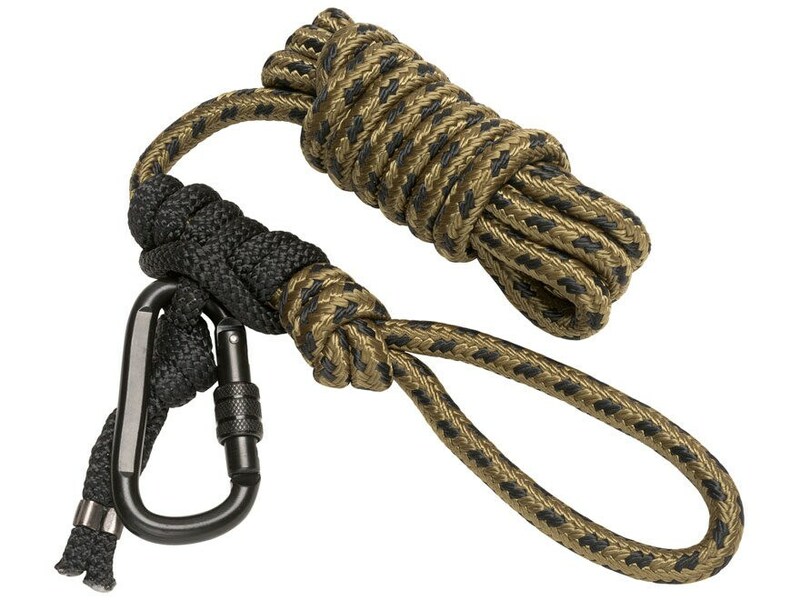 The Rope Style Treestrap makes climbing easier and safer, keeping you attached at all times during both the climb and the hunt. The rope can accommodate most trees and allows for easy 360º shooting from nearly any angle. Simply loop the Rope Style Treestrap around the tree above your stand location and let the excess hang free. The easy-to-adjust Prussik Knot allows for additional maneuverability in your treestand. Rope is 8 ft long.